Although most parents experience some fear regarding childbirth, studies show that perinatal anxiety and postpartum depression can be serious issues. You have most likely heard of postpartum depression, and probably even know someone who has suffered from this condition. Postpartum depression is depression that occurs after childbirth. You may not know that expectant and new parents are also at risk for anxiety disorders. Furthermore, fathers are also at risk for depression and anxiety when having a new child. As these conditions can also occur during pregnancy, "perinatal" depression or anxiety is a more accurate term than postpartum. "Perinatal" means "about childbirth," which includes pregnancy and post-childbirth. 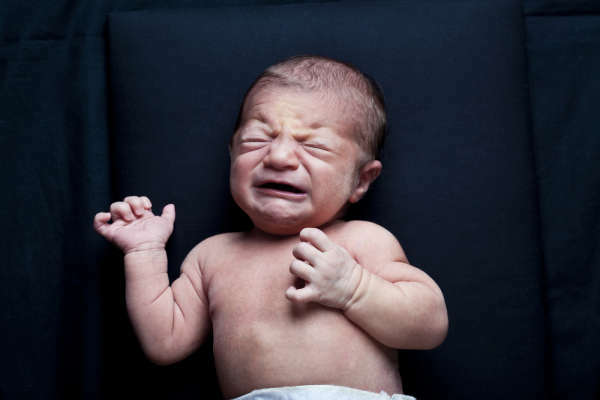 Perinatal anxiety conditions include General Anxiety Disorder (GAD), Panic Disorder, Obsessive-compulsive Disorder (OCD), and Post-traumatic Stress Disorder (PTSD). Unfortunately, there is not a lot of research on perinatal anxiety conditions compared to postpartum depression, but we do know that there is an increased risk of anxiety in the time surrounding childbirth.1 One study found a rate of about 16 percent for postpartum mothers and 10 percent for postpartum fathers.2 This is similar to the rate of postpartum depression at 13 percent in mothers and 10 percent in fathers.3 Many anxious parents are also depressed, but this is not always the case and therefore it's important to also recognize perinatal anxiety as a distinct condition. Many of these anxiety conditions do not have a prenatal or postpartum specifier in the DSM-5, thus, they may also escape professional attention. 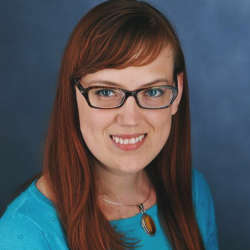 In fact, a recent study found that many mothers with OCD symptoms were being treated for postpartum depression, and therefore, postpartum depression may be serving as a "catch-all" diagnosis.4 The failure to distinguish across different types of perinatal mental health conditions may lead to inappropriate treatment. Contrary to popular perception, most cases of perinatal mental health disorders, including postpartum depression and anxiety, are not primarily caused by hormones. 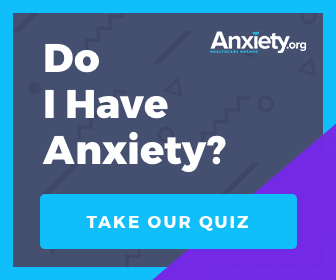 These conditions are strongly linked to a previous mental health history and there may be a family or genetic predisposition for anxiety-related conditions. Additionally, perinatal mental health conditions are shaped by the major life change and new responsibilities of having a child, for both parents involved. These social and cultural risk factors were highlighted in my recent study based on in-depth interviews with 47 new parents experiencing perinatal mental health symptoms with pregnancy or the birth of their firstborn. For some parents, this was the first time they ever experienced symptoms like this. Others noted that they had an anxious personality or previous symptoms of anxiety, but becoming a parent led to more clinically severe symptoms. Parenthood comes with a lot of new roles and responsibilities which can evoke or worsen perinatal anxiety, as some of the quotes above demonstrate. These fears may be especially pronounced among those with a prior mental health history, a dysfunctional family background, low socioeconomic status, limited social support, or little hands-on experience with infants. Further, parenting is such an important cultural value and social responsibility that parents often experience additional guilt and anxiety if they believe they are not a good parent. Today, social pressure often leads to unrealistic expectations for parenthood which can evoke anxiety when media images are not realized in real life. What are the Signs of Perinatal Anxiety? Perinatal mental health conditions can have adverse consequences on child development, but fortunately, effective treatment can lessen or prevent these negative consequences. Regrettably, research on and awareness of perinatal anxiety has lagged behind our knowledge of prenatal/postpartum depression. Many parents in my study did not seek mental health services when they felt their symptoms did not align with the textbook symptoms for postpartum depression in new mothers. Therefore, increased awareness of the diversity of perinatal anxiety, as well as other mental health conditions, is important for helping people find and receive effective mental health care. Most parents experience a little sadness or anxiety after a child is born—referred to as the "baby blues." However, symptoms that last beyond two weeks and/or interfere with functioning should be examined further. It is difficult to define perinatal anxiety, including the time frame that should be used to define these conditions. Leading experts promote a broad view, in which mental health conditions anytime during pregnancy or a full year postpartum should be monitored and treated as a perinatal issue. There is not yet a screen specifically for perinatal anxiety, and so expectant and new parents, their friends and family, and their providers should watch for the general symptoms of anxiety disorders. Expectant and new parents may have irrational fears that something terrible is going to happen to their baby or that they are a bad parent. Some anxious parents may be hyper-vigilant in their parenting responsibilities, whereas others feel incapacitated by parenting tasks and unable to move forward. Parents can also benefit from social support to help with their new parenting responsibilities, as well as more realistic expectations of parenthood—you do not have to be a perfect parent to have a healthy, happy family! Increased awareness of perinatal anxiety is an important step forward in providing help and support for new parents, which in turn can improve the well-being of the next generation. Paulson, James F. and Sharnail D. Bazemore. (2010). Prenatal and Postpartum Depression in Fathers and Its Association With Maternal Depression: A Meta-analysis. JAMA 303:1961-1969. Wendel-Hummell, C. (2014). Nature and Culture: Lay Accounts of Perinatal Mental Health Disorders. Paper presented at the American Sociological Association, San Francisco, CA. Can The Internet Treat Postpartum Depression?